Dina Wakley Ranger SCRIBBLE STICKS 2 Media mda60161 at Simon Says STAMP! mda60161 This item is on reserve until If you would like to reserve this item now, you may purchase it now with the rest of your order. We will hold your order now and ship your entire order as soon as this item is back into stock. If you would like your order to ship now, please place this item on a separate order. 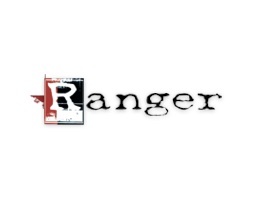 Success, Dina Wakley Ranger SCRIBBLE STICKS 2 Media mda60161 has been shared! These versatile, high quality pigment sticks sketch like crayons but are water-soluble like watercolor pencils. Use Scribble Sticks to create watercolor backgrounds or create bold, opaque designs, scribbles and marks on top of Dina Wakley Acrylic Paints and other mediums. Set includes 12 colors that coordinate with the Dina Wakley Media palette of color. This set includes: Blushing, Sedona, Cheddar, Olive, Evergreen, Peacock, Ocean, Lapis, Marine, Fuchsia, Eggplant, and Elephant.